The EMBRC-ERIC is a pan-European Research Infrastructure for marine biology and ecology research. With its services, it aims to answer fundamental questions regarding the health of oceanic ecosystems in a changing environment, enable new technologies to further our investigation capabilities, support life-science breakthrough discoveries with the use of marine biological models, and continue long-term marine monitoring efforts. 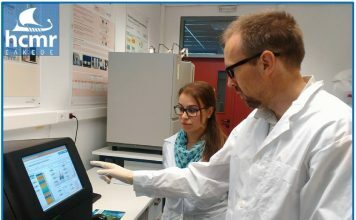 EMBRC-ERIC is a driver in the development of blue biotechnologies, supporting both fundamental and applied research activities for sustainable solutions in the food, health and environmental sectors. 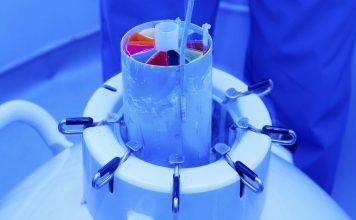 Organisms are generally made available at the EMBRC-ERIC nodes but some organisms, laboratory cultures, cell lines, tissues, tissue cultures and DNA can be provided remotely (by courier), subject to Material Transfer Agreements stipulating terms and conditions of use, including guidelines for proper disposal and environmental protection. Provision of some organisms may be restricted by seasonal occurrence or abundance. EMBRC-ERIC guarantees conformity with national and international regulations concerning collection, maintenance/cultivation and shipping of biological resources. Ethical standards and nature conservation requirements limit the availability and/or types of research on certain species such as mammals, turtles and those on the IUCN Red List of Threatened Species. Strict adherence to ethical standards and 3R policies (Reduce, Reuse, Recycle) will be ensured. Ethical issues will be overseen by the EMBRC-ERIC Ethical board. EMBRC-ERIC provides access to a range of marine ecosystems, including kelp forests, coral reefs, intertidal rocky shores, lagoons, mudflats, deep-sea environments as well as planktonic and pelagic communities. Special sites and extreme environments are also provided including: (1) volcanic cold seeps, proxies for the future high CO2/low pH oceans, (2) polluted low-oxygen sites, for environmental impact studies, and (3) artificial habitats such as renewable energy test sites for research on bio-fouling, etc. Specialised services are also available for tracking large marine organisms, such as mammals and turtles in their natural habitat, through satellite tag and sensor design. EMBRC-ERIC provides access to state of the art experimental facilities, to users from all sectors, for either precompetitive studies or commercial applications, and for education and training activities. Aquaria and culture facilities for both micro- and macroorganisms are the heart of the EMBRC-ERIC marine research capacity. A substantial range of facilities for maintenance, culture and experimental work on polar, cold, cool temperate, warm temperate and sub-tropical species is available. The facilities include bioreactors, mesocosms greenhouses, and licensed marine vertebrate holding tanks. Facilities are equipped for the manipulation of environmental conditions (e.g., temperature, pH, and light). Water purification systems keep avoid invasive species and genetically modified organisms (GMOs) from contaminating the external natural environment during the experiments. Technical support for these facilities is provided. The services offered can be delegated to the EMBRC-ERIC staff or co-produced between the user and the EMBRC-ERIC staff, or produced independently by the user, depending on the nature (open/competitive) of the research. Access is on-site, on demand. The services offered can be: delegated to the EMBRC-ERIC staff; or: co-produced between the user and the EMBRC-ERIC staff; or: produced independently by the user, depending on the nature (open/competitive) of the research. Technical support is always available , as well as training sessions. The Marine Training Network – A web-based platform developed by EMBRC-ERIC to offer an overview of current Marine and Maritime education, whilst being a supporting framework to foster new training initiatives with exchange of best practice including a set of tools for assistance and insights in Marine and Maritime ocused trainings”. In other words, the Marine Training Platform had as objective to become the one-stop-shop for trainees in search of European Marine and Maritime training initiatives, for trainers in search of assistance for organizing European Marine and Maritime training initiatives, for stakeholders in search of insights into European Marine and Maritime training initiatives. The IMBRSea Masters Programme – The International Master in Marine Biological Resources (IMBRSea), is a joint Master programme organized by eight leading European universities in the field of marine sciences; Ghent University (BE), University of Pierre and Marie Curie (FR), University of the Algarve (PT), University of Oviedo (ES), Galway-Mayo Institute of Technology (IE), University of the Basque Country (ES), Polytechnic University of Marche (IT), and University of Bergen (NO), supported by 14 EMBRC-ERIC operators. The access is granted virtually, or on site, through the EMBRC-ERIC portal. Software and bioinformatics technical support is available remotely.